Canadian IM Gerzhoy placed equal third at the recent Bahamas International. 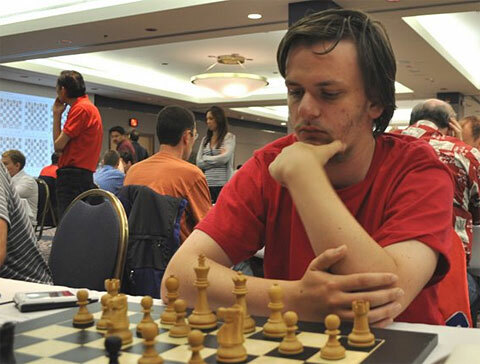 Gerzhoy played on the Canadian Olympiad team in Istanbul 2012 previously. Black has sacrificed a pawn and now has strong light square compensation. How should black continue? The complex middlegame has passed and now white has an excellent N vs. B ending with an extra pawn. How should white continue?